Nothing gets me more excited about Fall than a little preview of Alexander McQueen Pre-Fall Collection. 2016 does not disappoint, The collection is as feminine as ever, with it's paisley, florals, embroidery, beading and even some whimsy. Sarah Burton pulls off sophistication with precise details. keeping the tones earthy, while embellishing every inch. The military coat below is brilliantly trimmed with a copper fur collar. 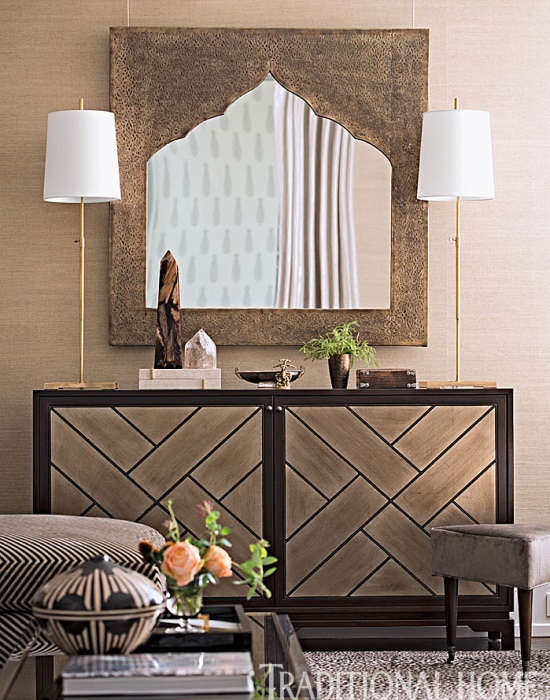 into their Southampton summer house, For as much as we love sun and fun inspired stripes and nautical accents, you have to admit bringing in Moroccan treasures and textures is a delightful break for the expected. 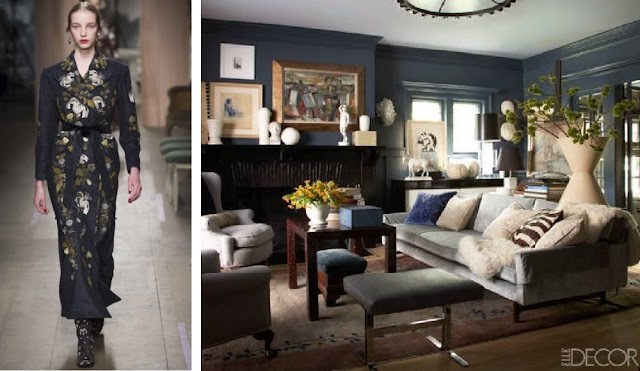 The homeowners were looking for approachable mixed with glamour. The living room really sets the tone for this by combining those earth tones with subtle hints of gold. The sofa is actually a plush black and gold velvet. 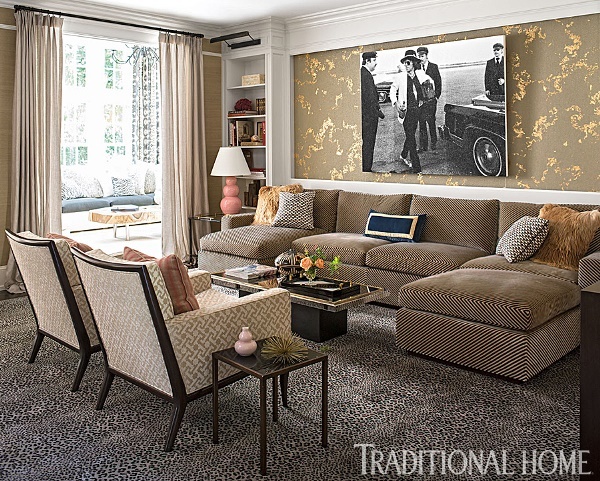 Handpated wall paper sets the backdrop to a vintage Keith Richards photo. 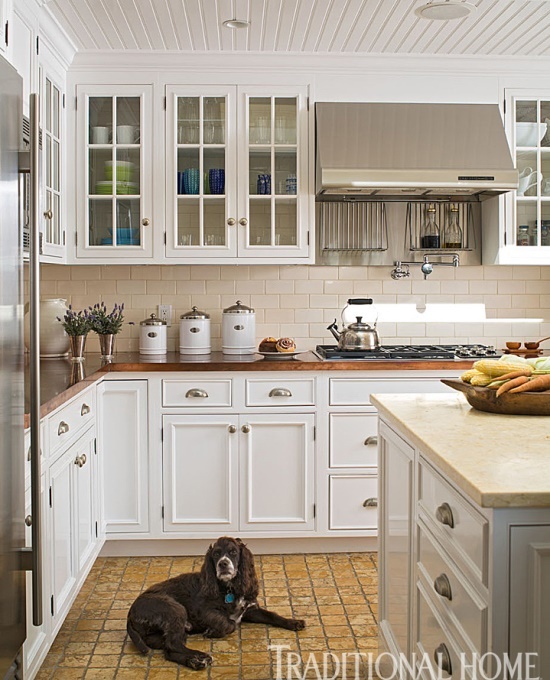 The kitchen and dining room are a true cottage feel, including a rustic floor and wooden counter tops. 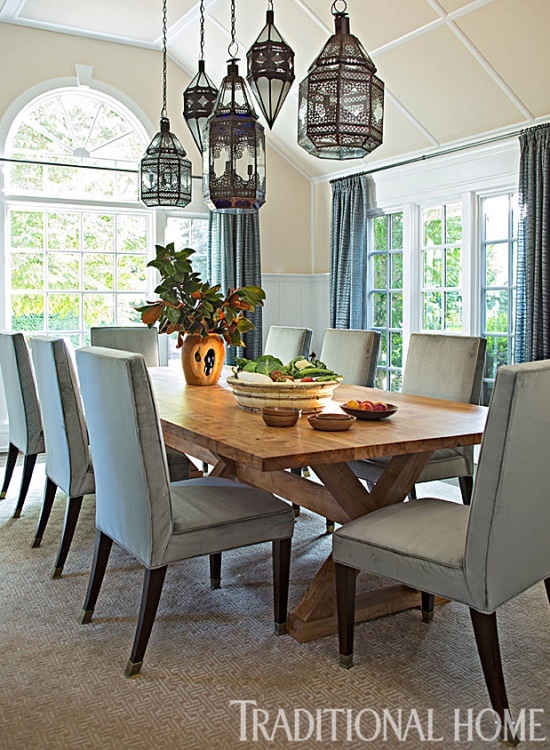 Below the dining table gets kicked up a few notches with staggered Moroccan lanterns. 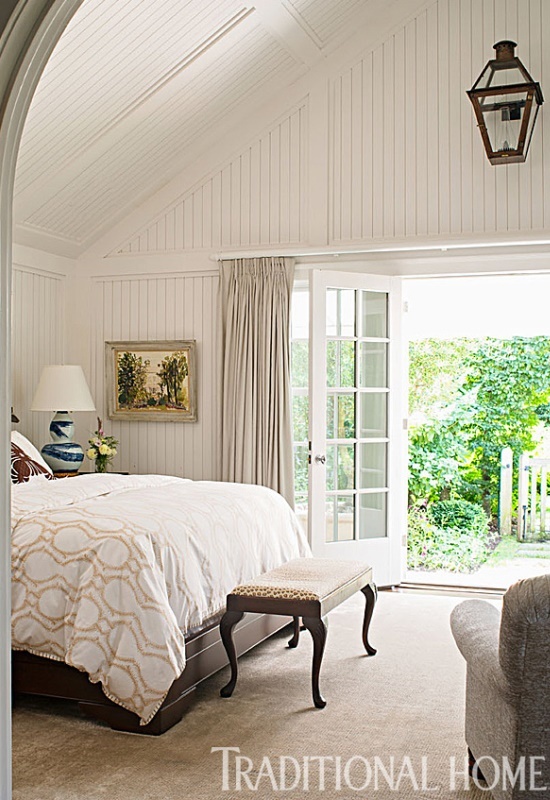 This inviting bedroom suite, including the master bath, cozy corner, and gardens keep true to the homes original shingle styled architecture. Beanboards line the walls and ceiling adding much needed to texture to the high vaulted ceilings. This super elegant master bath is another great example of breaking away from the typical. 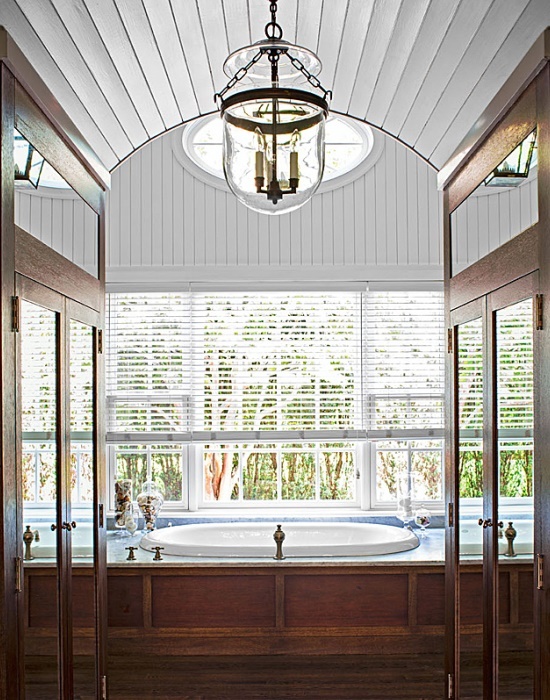 A departure from the trend of incorporating large marble slabs and soaker tubs to bathrooms. Here drama and sophistication in incorporated with incredible mill-work. 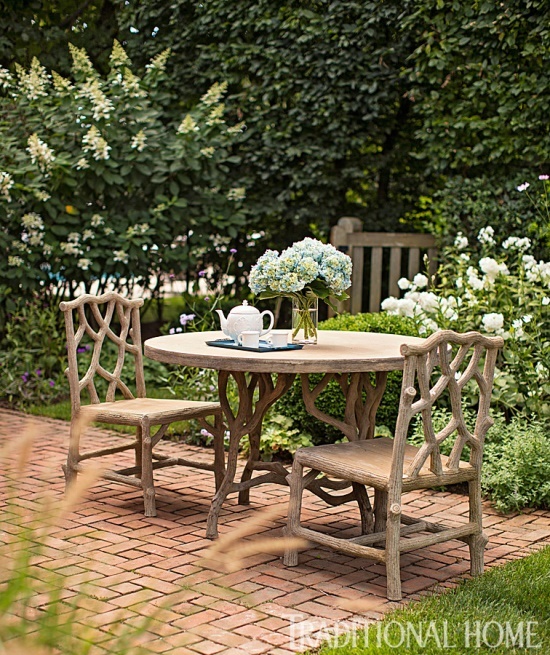 The homeowner, a passionate gardener, was sure to include an outdoor garden escape just off the master bedroom. 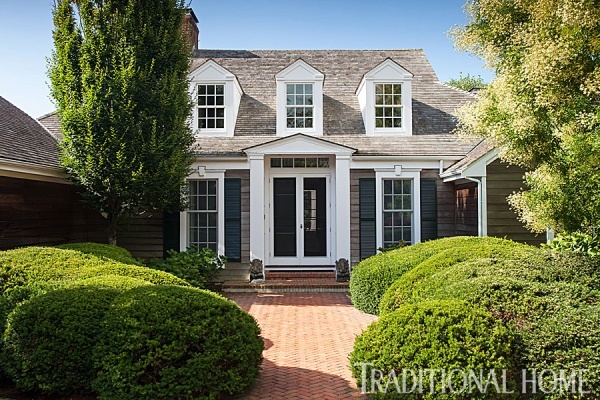 If you still need to see more, you can check out the complete house tour on Traditional Home!